delivering well thought-out quality products. awards, golf, recognition, GWP’s & PWP’s, incentives and more. A Horse of a Different Color!? inVentiv Health was promoting one of their drugs as “a different beast”. 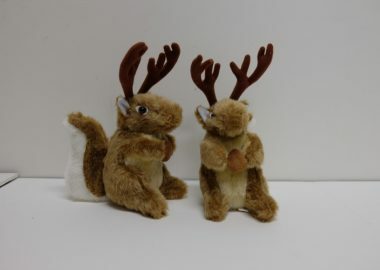 To help drive that message home we created a different beast – the SquirrelDeer – for the sales force to distribute. We’ll Tackle Your Promotional Needs! 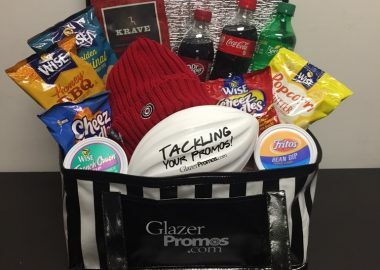 Glazer Promos is ready to help you score with promotional ideas! We don’t just make promos - we live promos! 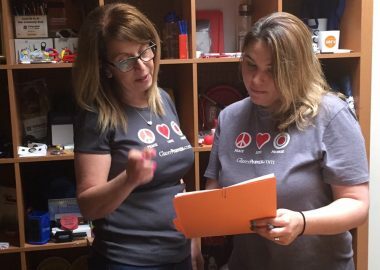 Catch Robin and Sara on a casual summer Friday in their Glazer gear! These custom Rocket Ship shaped mints really took off at The Tech trade show! 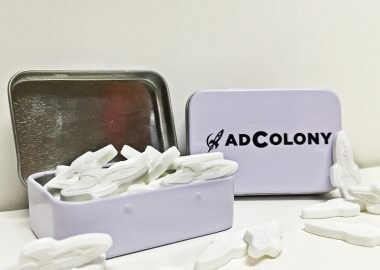 AdColony got compliments to the moon and back. 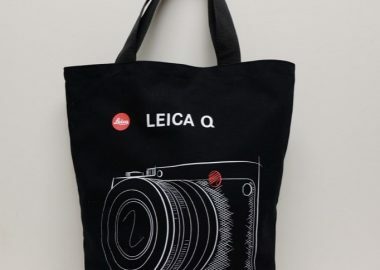 When Leica wanted a tote bag worthy of their new Leica Q Camera, we went custom for a memorable “keeper” tote that provided the perfect background for Leica’s artist rendering, and their hashtags on the back. relativity, uniqueness, beauty and value come together. This is what inspires Glazer Promos to provide outstanding work so you can stand out. With an extraordinary ability to source or create customized promotional products and years of experience in design and manufacturing, we bring inspired ideas to life. Our culture is one of personal, hands-on service every step of the way, at the same time supporting projects of all scopes and sizes. Each project we produce exemplifies our commitment to our clients’ message, goal, budget and brand identity. We listen and learn about your objectives and promotional style, and then work in unison to bring out our best in creativity, strategy, and performance. We aim to become your promotional partner. We love a challenge. Contact us today so we can start creating the perfect product for you. You’ve been a lifesaver! Thank you! I have worked with several promotional companies and by far have gotten the best and most efficient service from you. I was just really impressed with your team. The follow up is excellent and the attention to detail – top of the line. Outstanding!!! It is an absolute pleasure working with you. You are so efficient! Thank you so much for supporting our 2nd Annual 5K Race to Build. Glazer Promos’ support helped to make the event a wonderful success. Many of the 5K participants told me how much they loved their t-shirts! On behalf of the affiliate, please accept my deepest gratitude. I love working with you. You and your staff always kept on top of everything, start to finish including our policies. I’m sorry for not writing sooner, but last week in New York was crazy. I just wanted to tell you that everything we ordered looked amazing and we were incredibly happy. Your company has been so easy to work with and accommodating at every touchpoint and that just makes our job a million times easier. We will definitely be calling you in the future when we have other events.